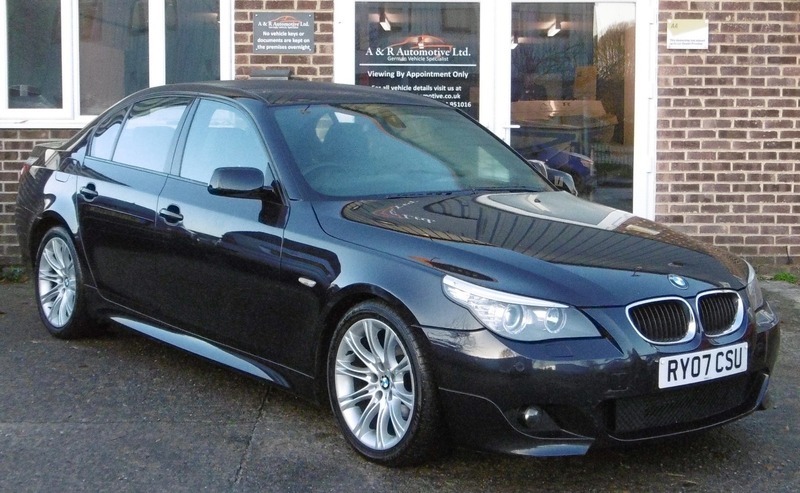 This 520 D M Sport Auto has come to direct from the local BMW dealer as a part exchange. It looks fantastic with Carbon Black Paint and full Black Leather inside. It has 2 keys and comes with a new MOT without advisories.